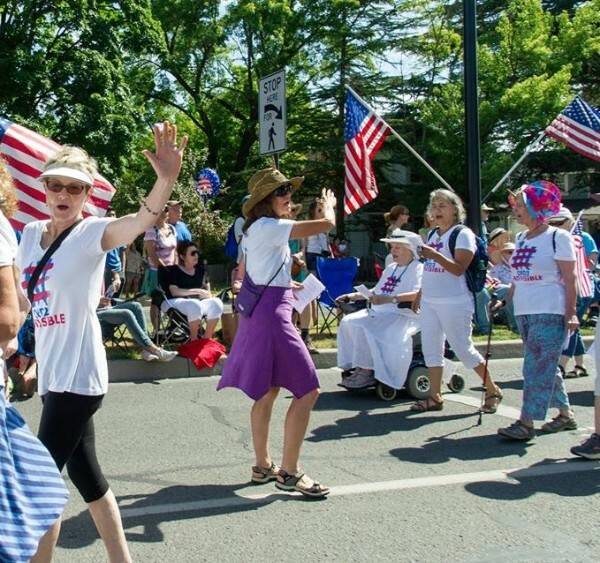 We are thrilled to be participating in the Ashland 4th of July Parade again this year! Last year we had a great experience and were extremely well received, many people commented that we were their favorite part of the parade, due to our message and especially due to our SINGING! We are extremely fortunate that our Maestra Extraordinaire Holly Foster will once again be taking up the baton to help us learn this year’s songs and to share her amazing conducting talents (even while marching backward) as we join our voices proclaiming our love for our community and our dedication to holding our Members of Congress accountable. Come and join us as we rehearse our songs for this year! *Lyrics adjusted just a wee bit by Maestra Holly to fit our times and circumstances. Saturday, June 23 from 7:00 p.m. – 8:30 p.m.
Tuesday, July 3 from 7:00 p.m. – 8:30 p.m.
We will have copies of the music available and encourage everyone who can to attend at least one of our fun rehearsals. 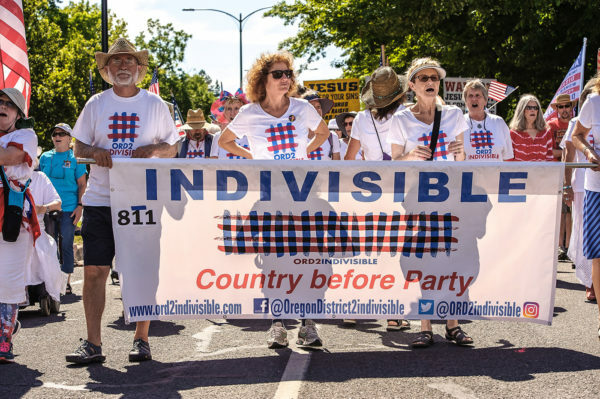 Similar to last year, we will pass out the lyrics prior to the parade on July 4 so even if you aren’t able to attend a rehearsal, you’ll be able to join us in singing. We look forward to marching and singing with you once again!